Which girl does Ranma actually fall in Amore with? 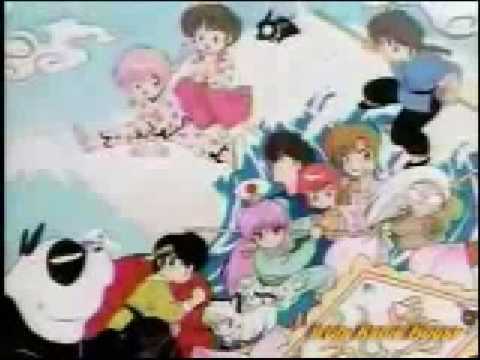 For Ranma 1/2 do te perfer the manga o the anime? Who is The stronger out of all the girls ? AT THE END ........WHO MARRIES AKANE? This one is one of the cutest episodes in the anime. Shampoo makes Ranma a special dim sum with a fungo that causes whoever swallows it to obey a command whenever a certain signal is given. Eventually, the trigger sound for Ranma becomes a sneeze, as he would hug anyone sneezing before him. Fate favors as Akane catches cold. How romantic they looked when Ranma hugged Akane!! Its one of my best Ranma X Akane moments! One of the most famous and hilarious episodes in the whole anime, this episode is special for potraying Ranma's perfect woman-self. Everyone's reaction to girl Ranma, specially Akane's, add to the humor. reactions on seeing Nabiki becoming close to Ranma. It was so cute, so very cute! This episode also shows that only Akane is perfect for Ranma! Akane is the shortest of the main characters, being shorter than Ranma Saotome in his male form, but about the same height as his cursed form. She has short black hair (blue highlighted in the anime) and brown eyes. At the beginning of the series she had long hair, but after it was cut off during a fight between Ryoga Hibiki and Ranma, she kept it short for the rest of the series. JIST - Ranma, raised to be a man among men, has a bit of a problem: he is half woman! While training in China he fell into a strange magic spring at Jusenkyo. Now, he is eternally cursed to change into a beautiful woman whenever he is hit da cold water, but that may be the least of his problems; his father has betrothed him to marry! There's never a dull giorno for Ranma as he attempts to find a cure for his curse, train to become stronger, and grapple with the fact that half of himself may be più feminine than his fiancée! SUMMARY - The Romeo and Juliet baciare scene: Ranma is hovering above Akane trying to bring himself to baciare her. Akane: "Oh Romeo, do te really hate me that much?" Ranma: "No, of course I don't! If I did then this would be easy." Akane: "Then do it, baciare me." Akane: "Can't te just, make believe?" Akane pulls Ranma's face in and plants a big one right on his lips! However, it turns out that she uses tape on his mouth so that it didn't 'really' count. Ranma was about to go home... but all of sudden Happosai came running across the street, carrying an enormous bag of ladies underwear.
" What a haul! What a haul!" The old man cried as he was chased da a horde of women. "Get back here, te stupid thief!" one girl cried. "My underwear!" yelled another, " te pervert! te won't get away with this!" Ranma leaned over the bacheca and scowled. "The old freak's collecting again" he mumbled to himself. only. This work of fiction is not meant for sale o profit. A very MERRY Natale to all the Ranma1/2 fans! a comment was made to the poll: Most annoying fiancée? Who detto this and to whom,"If te kill me right now,I'll die a happy man?